More Time For You helps you to create organized systems so you can find what you need when you need it. We help you to eliminate the clutter in your home or at work so that your spaces function better and you save time, money , and stress. 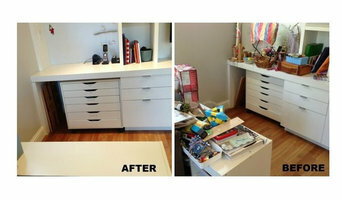 We declutter, organize, and design your home or office to leave you feeling rejuvenated and refreshed. We specialize in working with clients looking to get new energy and inspiration from their spaces. We like to think that we arrive at your home as new friends but leave as family. 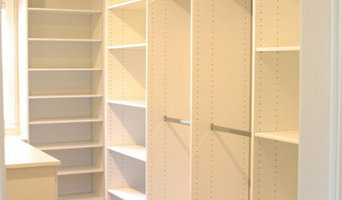 The mission of S & S Cabinets is to provide honest, reliable home organization solutions that simplify your life. Our dedication to service will ensure you enjoy your garage cabinets, closet organizers, and other home organization solutions for years to come. 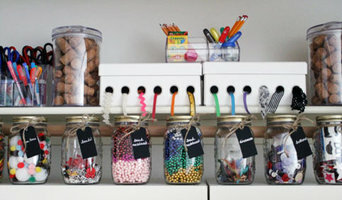 Want to be free of clutter? Have more time, more ease and more joy in your life? I’ll show you how, even if you consider yourself “organizationally challenged.” As a professional organizer and clutter coach, my mission is to create organizing schemes that work for you, so you can get organized and stay that way. The cookie-cutter approach just isn’t effective. The trick is to keep it simple. Have systems that don’t require constant maintenance. Make it easy to put stuff away. Surround yourself with just what you need and love. 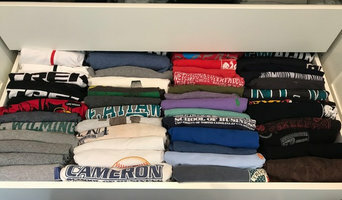 I've been in business for twenty years and use a variety of methods, from KonMari to Julie Morgenstern. Snap Locksmith providing 24 hour local, reliable and professional.Quick response & service for safes, automotive, commercial, residential and emergency locksmith services at very affordable prices. At Space Makers, we pride ourselves on our ability to translate our client's ideas into beautiful and practical creations. We design, build and install custom kitchen cabinets, bathroom vanities, custom closets, home offices, garage cabinets, wall units and more. At Space Makers, we don't sell anything '' out of the box. '' We take the time to know about you and your needs. We will work with you to design your dream kitchen, closet, home office, garage , wall unit, or whatever you need. I love meeting my clients and knowing that every day is a different challenge as no two spaces are alike. Being able to talk with my clients to learn about their specific needs allows me to customize a space that is unique to their home and lifestyle. Creating an organized space, whether it is your closet, home office, or media can allow you to move through your daily life with ease. I strongly believe that an organized space can create a sense of calm in our ever-changing, busy lives. My background in personal organizing and over ten years of experience in design has allowed me to merge both aesthetics and function to create spaces that best suit your needs. I have a degree in design, with an emphasis in spatial design and color. I am also a member of NAPO (National Association of Professional Organizers). Northern California's leading supplier of Plantation Shutters and Built In Solutions. Wholesale and Open to the Public Since 1994 we have designed and built over 35,000 beautiful spaces using Plantation Shutters to add elegance and light control and gorgeous built in solutions such as Closets, Entertainment Centers, Home Offices, Garages, Pantries, Wall Beds and more.